We had the most AMAZING time in the city with the kids and I can’t wait to tell you about it! 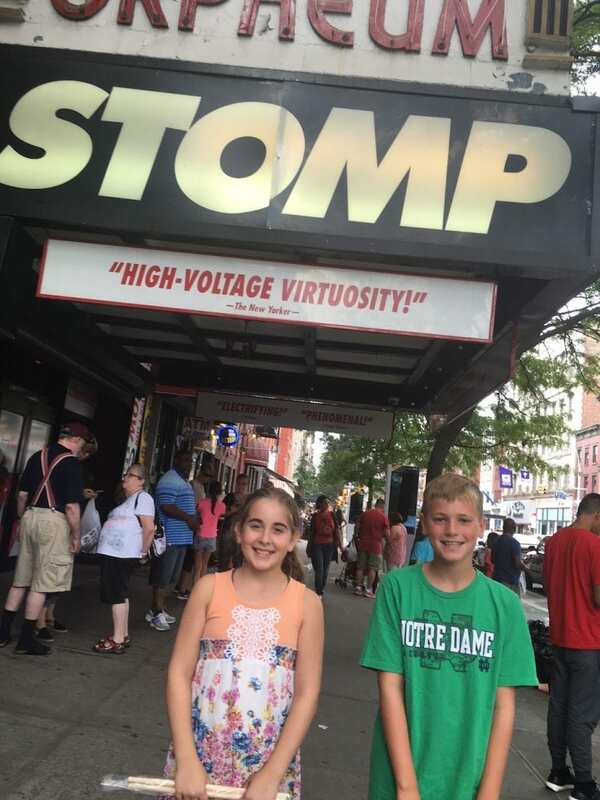 Have you heard of Stomp before? I should hope so – the show has been running for over a decade and it is a ton of fun. A musical adventure if you will. 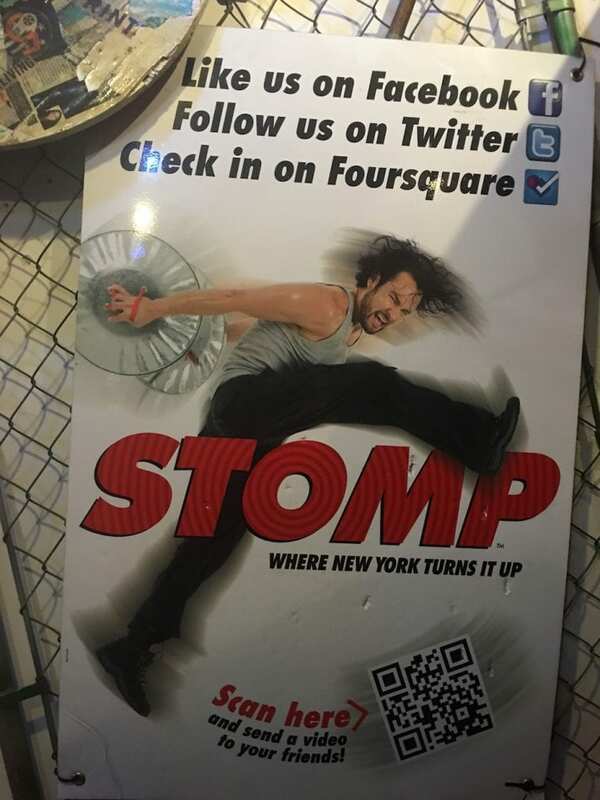 Stomp NYC is like no other show. The price is right, the atmosphere is contagious and I can almost guarantee that your children will all leave wanting to plan an instrument. 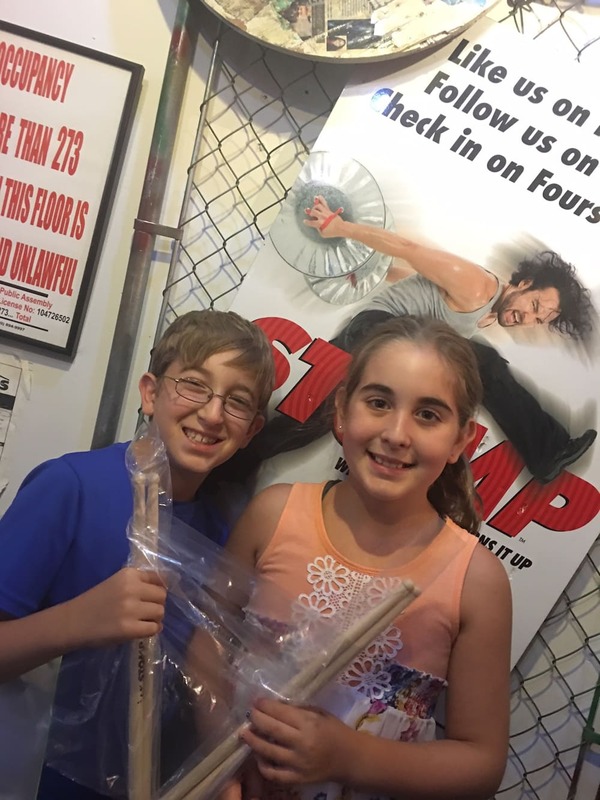 About the show: Matchboxes, brooms, garbage cans, Zippo lighters and more fill the stage with energizing beats at STOMP, the inventive and invigorating stage show that’s dance, music and theatrical performance blended together in one electrifying rhythm. I just love the official synopsis of the show because it is so SPOT on. It all starts off with a man sweeping the stage. You don’t think anything of it… but then you soon realize that if music is in your soul, you can find a beat with just about anything! Part of the fun was seeing just how crazy they could get with everyday goods. Matches and plastic bags? WHAT!? Totally amazing. It was physically impossible for me to stay still during the show. I was bopping and tapping, clapping and shaking throughout the entire experience. My children take music in school. Natalie does the flute which she loves and Liam – who is a bit younger – gets to choose this year which instrument he wants to focus on. Guess what he decided on after the show? D-R-U-M-S. We bought the kids sticks and they haven’t put them down SINCE. If you are looking to introduce music into the hearts and souls of your children. If you want to make your kids believe that they can BRING IT with just about anything – that they don’t need that fancy guitar to start loving music – this is the show for you. If you want them to take up this hobby, buy tickets TODAY. My children walked away CHANGED. The show runs approximately one hour and 45 minutes. There is no intermission. Great question!! Your child must be at least 4 years old to attend the show. And the bonus? 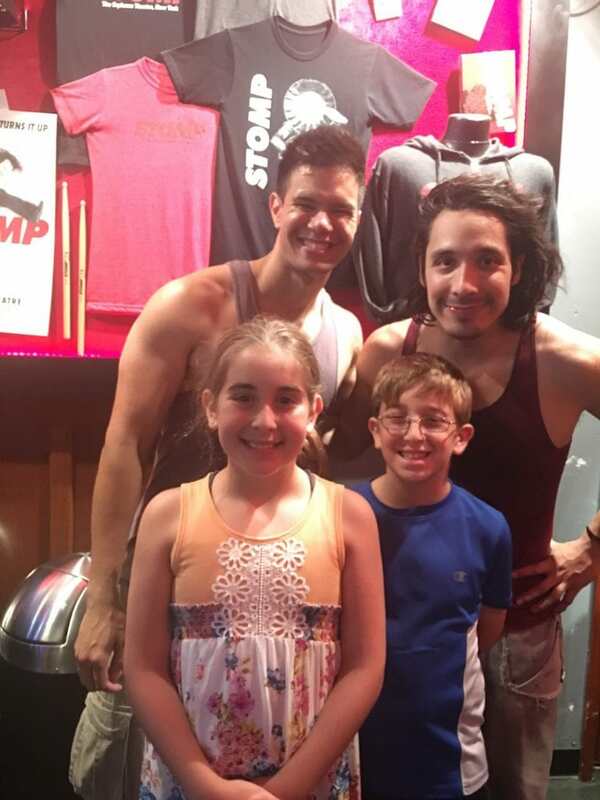 A mini meet and greet when the show is over for EVERYONE! SO FUN! No matter what ticket you buy, you get to take a picture and get autographs if you’d like. Such a great treat. To buy your tickets today, click here. Please NOTE – there are PREMIUM tickets available. 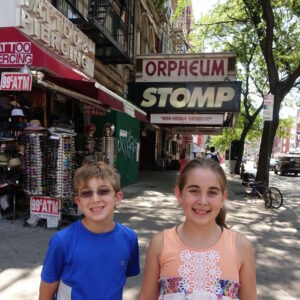 STOMP sets aside a limited number of exclusive seats for each performance, which are considered to have the best views of the house. This is known as the Rhythm & Sounds Zone because these seats are close enough to the performance, that you can feel the rhythms from your seats. Oh my i bet my son would love this sow. as a band member he loves music so this would be a great show for him.